“The history of the secularization of modern culture still has to be written”. This affirmation by Christopher Dawson can be read on page 53, and it both voices a truth and explains the origin and aim of the book from which it is taken: “The Gods of Revolution”, published in the Italian translation by D’Ettoris, edited by Paolo Mazzeranghi and with the preface written by Msgr. Luigi Negri. The first edition of this book dates back to 1972. Following its publication not much was added to the works that had already made an effort back then to understand secularization. The author’s judgment, therefore, can still be considered valid. This is especially true as far as one point is concerned: no further major steps forward have been taken in order to grasp the “religious” sense of secularization, which is the true aim of Dawson’s book. Catholic näivety as far as secularization is concerned has been and still remains quite surprising. While Mr. Dawson was writing this book many Catholic scholars and thinkers were active in legitimizing secularization as a positive historical and Christian fact. They were unable to grasp in depth its negative religious significance, which, fortunately enough, Mr. Dawson and many others perceived quite clearly. Secularization is nowadays projecting its profound anti-Catholic nature, and therefore it is of fundamental importance to revisit Mr. Dawson’s analyses. A large part of the book is dedicated quite obviously to the French revolution, even though far from absent are interesting observations about the English and American revolutions, and even prior thereto, to the sad outcome of the great baroque season of the counter Reformation. “If Philip II had not been victorious over the Dutch, the English and the Huguenots the modern bourgeoisie civilization would have never developed, and capitalism, to the degree that it may have existed, would have assumed a completely different character” (pg. 47). Mr. Dawson argues that the modern political revolution was first of all an intellectual revolution, and a religious revolution even before that. Locke and Newton had ousted God from cultural and political life, Jansenism was a sort of “religious Jacobinism” (pg 65), the Huguenot disapora after the Edict of Nantes gave the bourgeoisie a new Puritanism, and the English revolution drew nourishment from a “new conception of life” (pg. 57). But it was with the Enlightenment that something really new saw the light of day. “The liberal ideas of the Enlightenment had to call on psychological forces situated below the surface of rational awareness. They had to be transformed from philosophy into religion, cease to be mere ideas and become articles of faith” (pg. 76). Rousseau saw to this and created the “religion of democracy” (pg. 76). He was the “prophet of a new Gospel. He saw that all the evils of man and all the misfortunes of society were due not to the personal sin of man and his ignorance, but to social injustice and the corruptive ideas of an artificial society” (pg. 76). All this had been seen to a somewhat lesser degree already in the American revolution. Democracy became faith in the creation of a new world, a general and cosmic change, a messianic idealism, and the birth of a new humanity. The millenarianist propensities of the Anabaptists bonded with the rationalism and naturalism of the Enlightenment. Born with Paine, explains Dawson, was a “modern revolutionary creed”. It was in France, however, that the religious aspect of the revolution strongly emerged. “This new religious unity was not purely ideal. It already had its hierarchy and its ecclesiastical organization in the Order of Masons, which reached the apex of its development during the two decades prior to the revolution” (pg. 101). The Declaration of Rights gave the revolution a “spiritual force” and a “new Gospel” (pg. 103). The construction of a “national Church” was the fruit of “the liberal idealism which felt the revolution was destined to bring humanity together in a new spiritual unity, and called upon the Church to become an apostle of this philanthropic Gospel” (pg. 111). According to Fuchet, who wasn’t an ex Oratorian by chance, Catholics and Masons could unite in preaching the new and great religious truths, and the national church should become the organ of this democratic mysticism. The most evolved form of the new civil religion, however, was that of the Jacobin party: “From the very outset it had its creed in the declaration of rights and its structures in the Social Contract, and gradually developed a cult and a ritual of liberty from the book of the Constitution, addressing itself to deified abstractions such as reason, liberty, nature and homeland. Even if this new cult might have been able to combine with the religion of the Church, it was fundamentally different from it and potentially hostile to it, Just like Christianity, it was a religion of human salvation, the salvation of the world through the power of man liberated by reason. The cross was replaced by the tree of liberty, God’s grace by man’s reason, and redemption by the revolution” (pg. 118). According to Dawson, Robespierre was a “religious leader” (pg. 129) and “the pope of the new Church”» (pg. 148), while the war of the Vandée was a “religious civil war” (pg. 134), the commissioners sent into the provinces were missionaries, and launched was an “inquisitorial heresy hunt” (pg. 145). Dawson’s historical description is timely and most useful. However, in order to grasp the religious character of secularization in full, historical analysis must be accompanied by philosophical analysis and above all the theology of history, both of which are rather defective in this regard today. 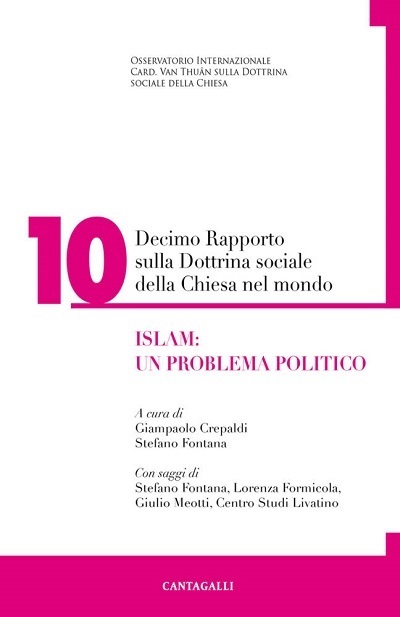 Nota bene: the page numbers refer to the book in Italian. 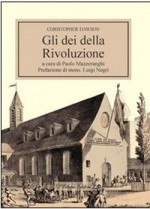 DAWSON, Christopher, Gli dei della rivoluzione, a cura di Paolo Mazzeranghi, Prefazione di Mons. Luigi Negri, D’Ettoris Editori, Crotone 2015.